Ian Tyson and Sylvia Fricker were Canadian folk singer/songwriters, who together formed the duo Ian & Sylvia. 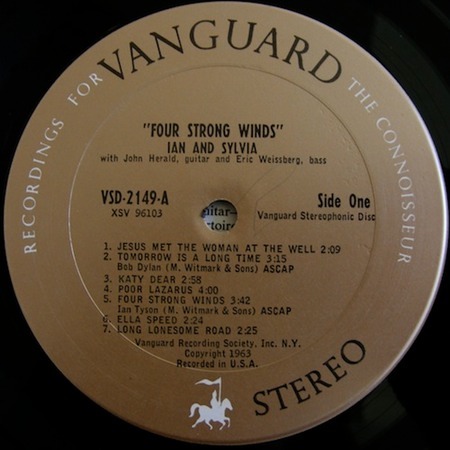 Their original recording of Dylan's "Tomorrow Is A Long Time" appeared on their 1963 (some sources say 1964) album, "Four Strong Winds" (Vanguard VRS-9133/VSD-2149). Bob Dylan's own version of this beautiful song did not appear until 1971.